HMD Global's next flagship handset has many leaked reports related to the Nokia 9, the photos have been exposed. Recently, the real picture and price of Nokia 9 have come up. A new leak picture has surfaced on the Chinese social networking website Weibo. A user posted a picture of Nokia 9 front and back panel on the site. According to the leak information, the initial price of Nokia 9 is 4,799 Chinese yuan (about 50,600 rupees). 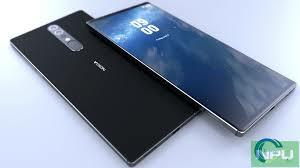 The real picture of Nokia 9 is similar to that of the leaked photo some time ago. Featuring Zeiss Optics and LED Flash with five rear cameras set up on the back panel. This time, not only the back panel of the flagship handsets of HMD Global but also the picture of the front panel has also emerged. The front panel of Nokia 9 is very similar to the Nokia 8 Sirocco. There is a possibility that this handset can be launched in Barcelona during the MWC 2019. But the company has not yet made an official announcement of this. After returning during the MWC 2017, HMD Global has not yet launched any flagship handset of the Nokia brand, on which all eyesight is on. This smartphone is slightly different due to Nokia 9's camera capability, which is why everyone is eager to know every little thing related to this phone. Some time ago the picture of this Nokia brand was revealed on the Chinese website ITHome's Forum page. The picture number of the Nokia 9 TA-1094 is visible in the picture. There was a report in which it was mentioned that the reason for the delay in the handset was the Penta Lens camera setup. The back panel will have 12 megapixels optical image sensor, two 16 megapixel sensors, and the fifth sensor of 8 megapixels. A 12-megapixel sensor can be given for selfie. For security, this handset can come in with in-display fingerprint sensor, 6GB RAM and wireless charging support. This model can be launched in two storage variants - 64 GB and 256 GB.